The Capital Grille is a fine dining restaurant known for its dry aged steaks, award-winning wine list and professional service in an atmosphere of relaxed elegance.We feature an on-site butcher who dry ages our steaks between 18 and 24 days to maximize quality. Additionally, our wine list is comprised of over 350 selections, including some of the most highly allocated and sought-after wines in the world. 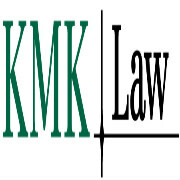 KMK Law, based in Cincinnati, Ohio is a nationally-recognized law firm delivering sophisticated legal solutions to businesses of all sizes - Fortune 100 corporations to start-up companies. Please visit www.kmklaw.com.